There is a stick insect on my screen. Is it common to find these in up-state New York? According to the range shown on this National Geographic fact sheet for the stick insect, yes. It’s extremely rare so I’m figurin’, “Armageddon”? @Marina – Here is a paragraph out of your fact sheet. Many stick insects feign death to thwart predators, and some will shed the occasional limb to escape an enemy’s grasp. Others swipe at predators with their spine-covered legs, while one North American species, Anisomorpha buprestoides, emits a putrid-smelling fluid. I guess I won’t be touching it! But I gotta take a picture though! 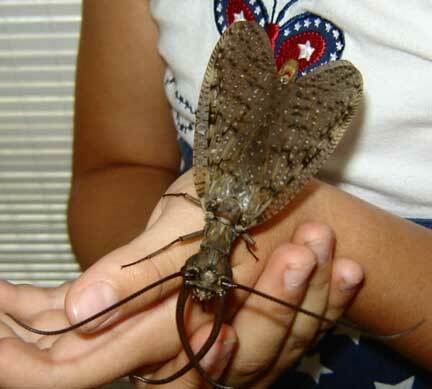 Could be worse, DandyDear, since the ones in Borneo are gigantic—I would pass out if face-to-face with a 21 inch bug! I think from the pictures above that it WAS a Northern Walking Stick. It has disappeared and I didn’t get a picture!! The person holding this insect should get his/her won hand looked at! Yuck!! The Northern is far more common. I live 45 minutes SE of Albany also, but in a very rural area; and yes, they are common. Flower Stick witch is sitll in move it yust watching landscape.Flower stick live in a poster move in the air and so unleashed that nothing can desturbed.It is so unarmed that the live of that creature relay on you.Would you let flower stick go?Yust let it foow or catch it.The character will speak of your aware. I second what Gail said. I’m 30 minutes south of Albany in a rural area, and I see them around sometimes, too. What's the best pay-as-you-go wireless carrier in Taiwan? How dangerous are insects from rotten food? Why are ladybugs usually exempt from entomophobia? Are fireflys only in certain parts of the country?